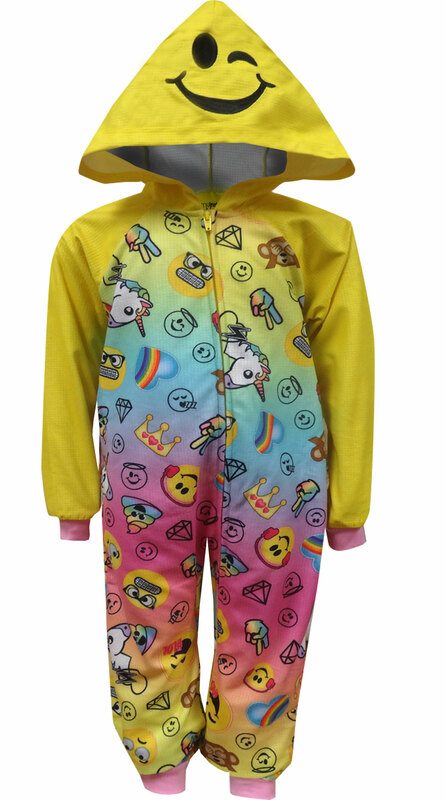 Description: Featuring all the favorite emojis a girl could want, she will be texting away in these cozy one piece pajamas. These super fun union suit style pajamas are hooded with banded wrists and ankles for extra comfort. Sure to please the texter in your house! 100% flame-resistant polyester.